Array Format: Wide−VGA, Active 752H x 480V (360,960 Pixels). 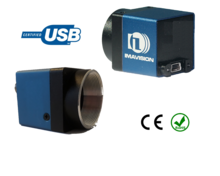 Global Shutter Photodiode Pixels; Simultaneous Integration And Readout. 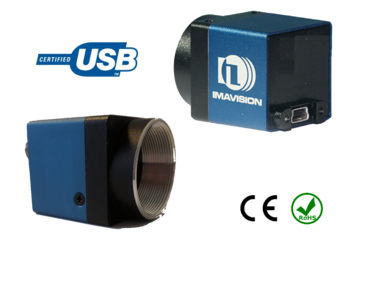 Monochrome Or Color: Near_IR Enhanced Performance For Use With Non−Visible NIR Illumination. Readout Modes: Progressive Or Interlaced. Shutter Efficiency: >99%. Simple Two−Wire Serial Interface, Register Lock Capability. Window Size: User Programmable To Any Smaller Format (QVGA,CIF, QCIF, etc.). Data Rate Can Be Maintained Independent Of Window Size. Binning: 2 x 2 And 4 x 4 Of The Full Resolution, ADC: On−Chip, 10−bit Column−Parallel (Option To Operate In 12−bit To 10−bit Companding Mode). Automatic Controls: Auto Exposure Control (AEC) And Auto Gain. Control (AGC); Variable Regional And Variable Weight AEC/AGC.